Have a Fun Girl's Day With DIY Projects! 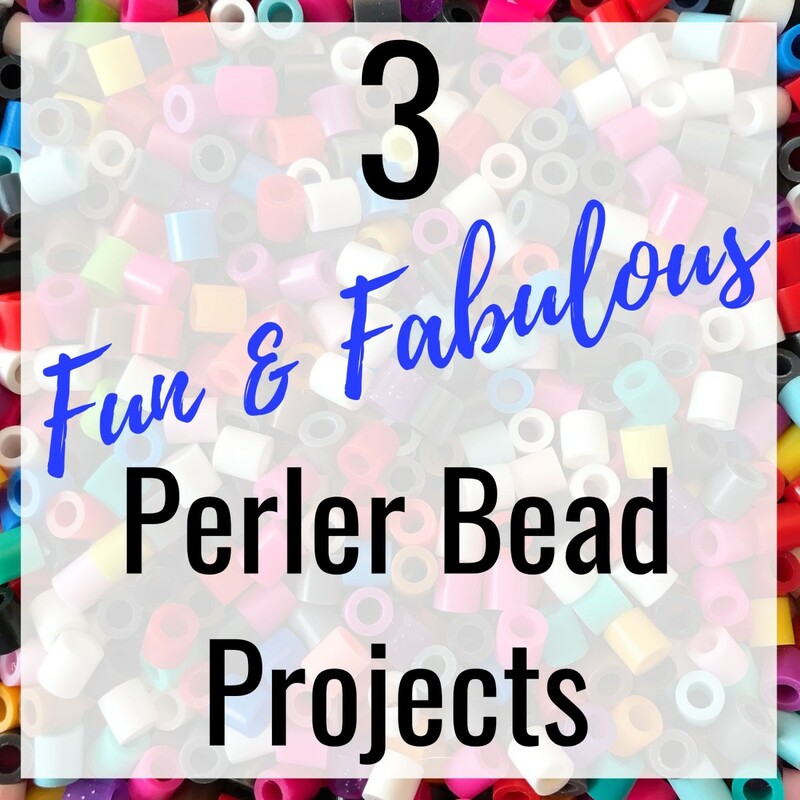 If you want to upcycle old items into fun projects that fit in with your current interests, revamp a few pairs of shoes, or get inspired with jewelry ideas, I think you'll enjoy the craft ideas I'll be sharing with you below! Invite your friends over for an outstanding afternoon of DIY projects that are sure to last. Let's get started! 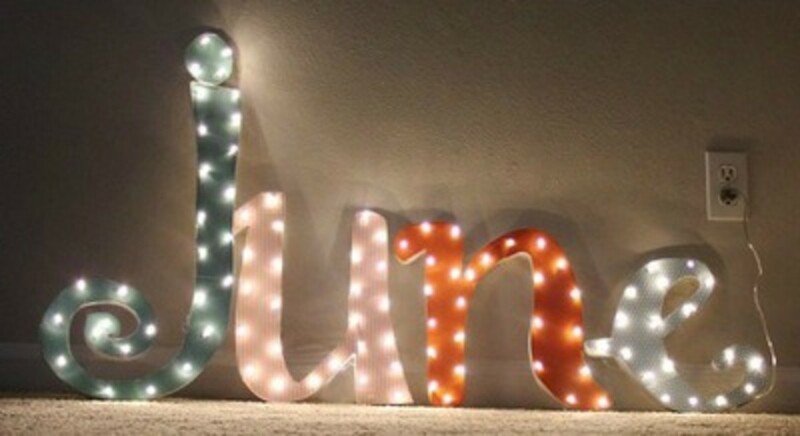 See your name in lights! This marquee craft takes about three hours to complete, but it costs less than ten dollars to make. You'll create the letter patterns on your computer. Find the instructions at We Lived Happily Everafter. I know nothing about Instagram, but I know you teen girls understand what it's all about. 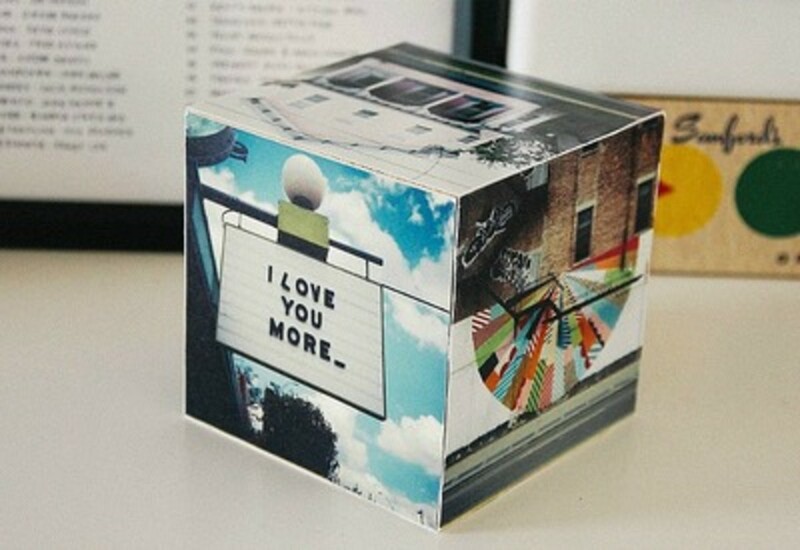 I've included this photo cube here in case it's something you might like. 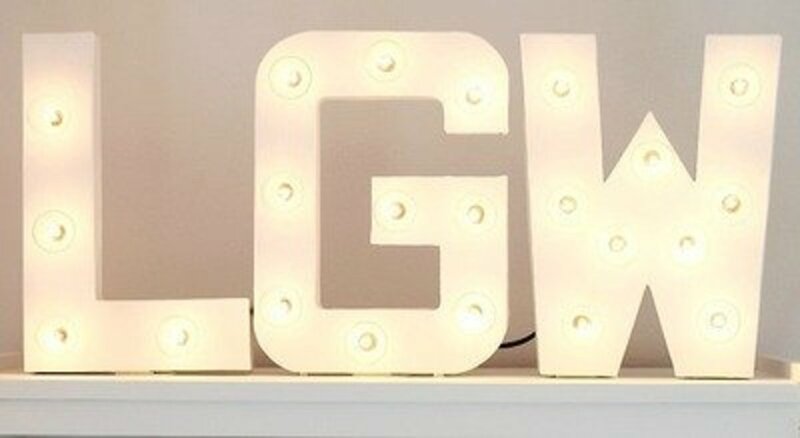 You can see that I can't get enough of these marquee lights! Imagine this DIY hanging in your dorm room at college or on your bedroom wall at home. The tutorial, with step-by-step photos, is found at Love Grows Wild. According to Liz, the author, it is an easy project that only takes a few hours—including paint drying time. 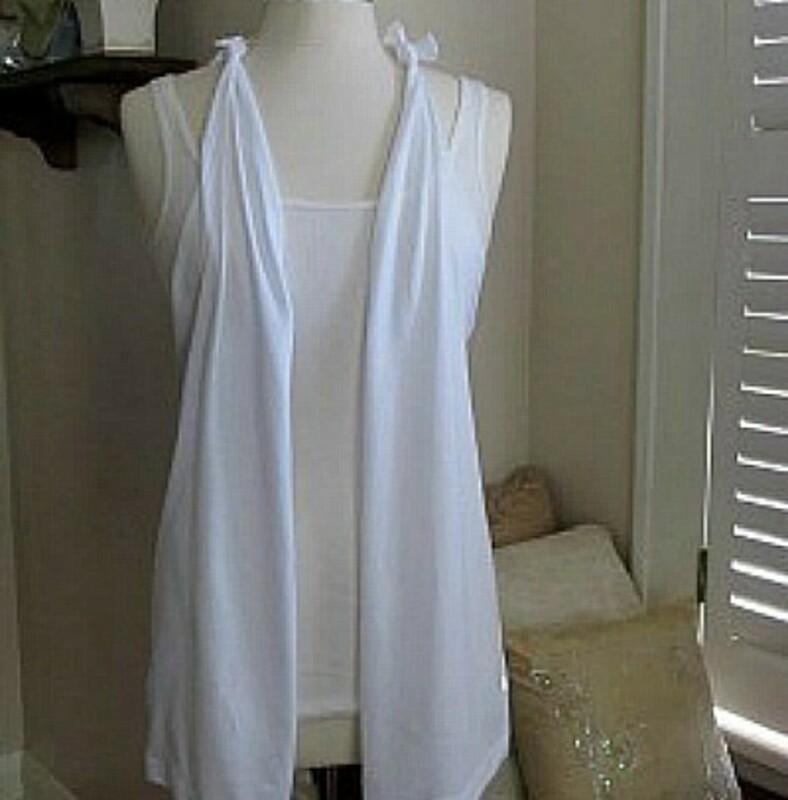 Girls, you can create your own cute fringe-net tank without having to break out your sewing machine! 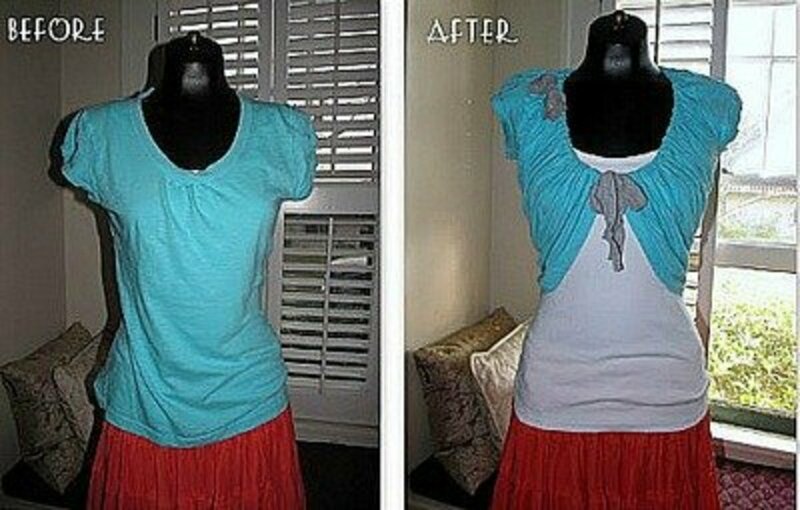 It's a fun and easy project to do with a top you want to revamp. Some of these projects are just amazing. I think this is one of them because it's hard to believe that the bracelet is made with a zipper! Before you know it, the weather will start warming up and you'll be ready to update your wardrobe. Re-design a tee shirt or two into cool tank tops. 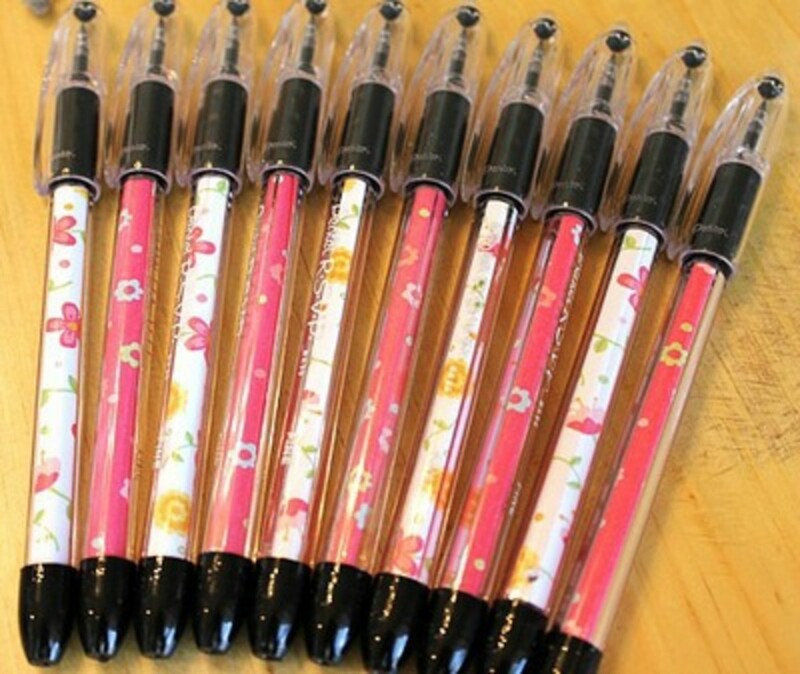 You'll love finding your own pens because they'll be the only "pretty" ones around. Make these super easy but gorgeous pens to give as gifts to friends, teachers, parents, or anyone for that matter! Everyone will wonder how you did it and appreciate the upgrade you made to the ordinary pen. 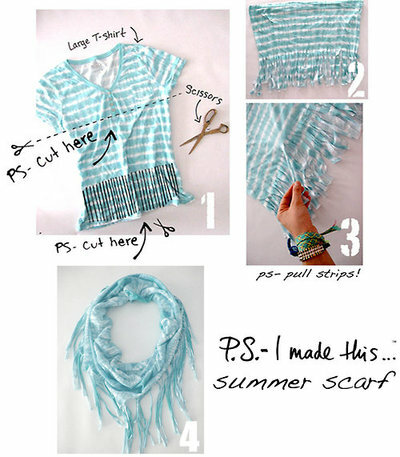 Add color to any outfit with a summer scarf you can easily whip together. It's a nice way to repurpose a tee you no longer wear. I'd like to dress up a plain outfit with this fun neck accessory. 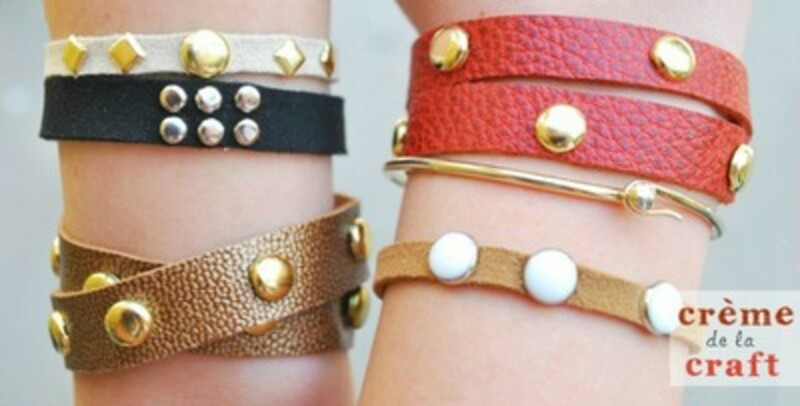 When you start making these studded wrap bracelets, I think you'll want to add studs to your leather purse, belts, shoes, or anything else you can get your hands on. This project is a very attractive way to decorate plain leather. 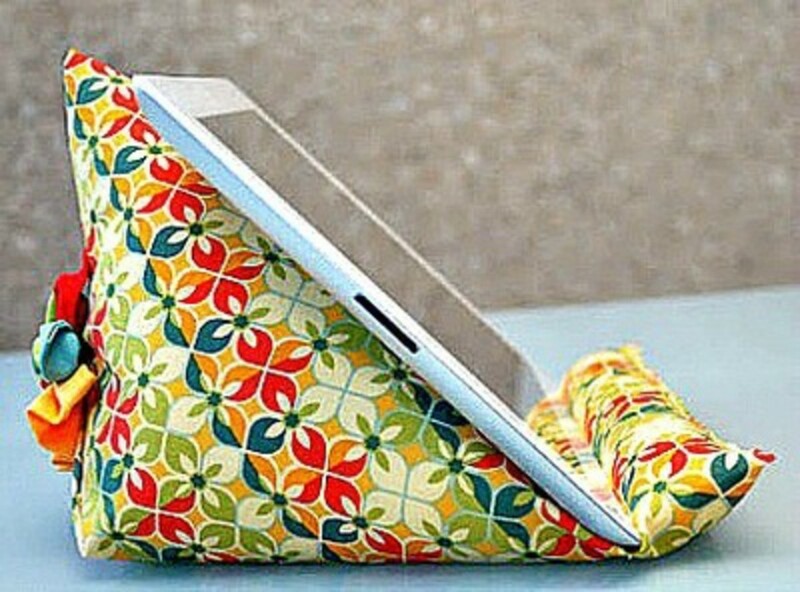 Not only can you make one of these iPad stands for yourself, you can also make one for everyone on your gift list. 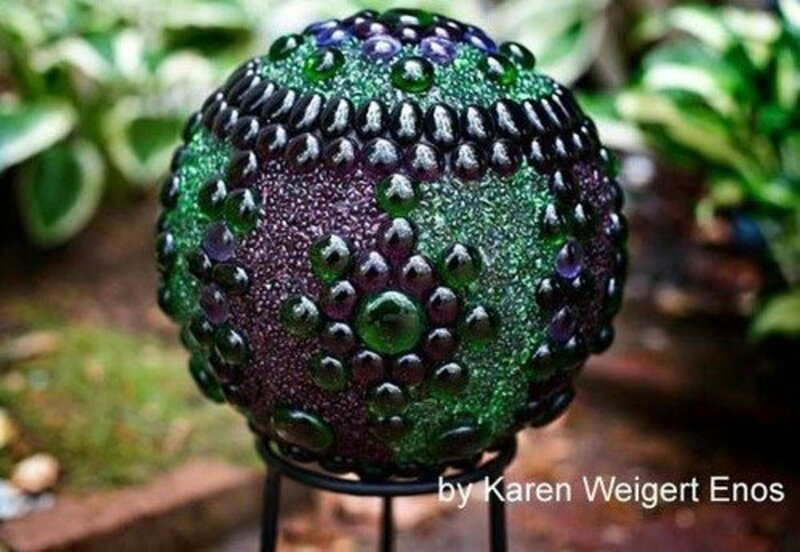 Corner Window Crafts shares how to make this outstanding and useful craft. 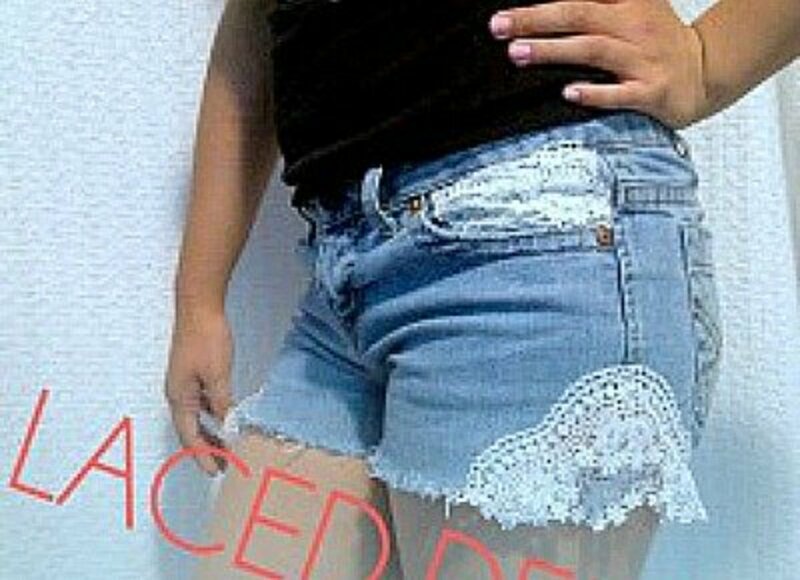 My granddaughter came home from Indianapolis with a pair of denim shorts that she had trimmed with lace insets. They were so nice that when I saw the tutorial by BARE magazine, I had to share it. 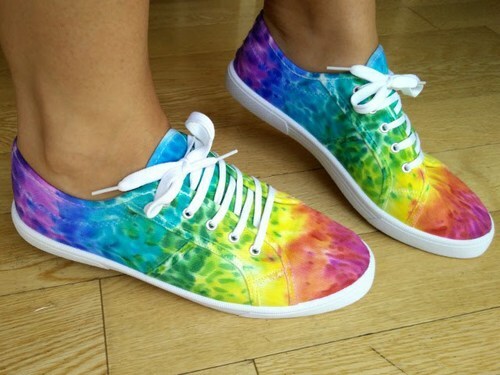 This glittered sneaker project is a whole lot easier than it looks. 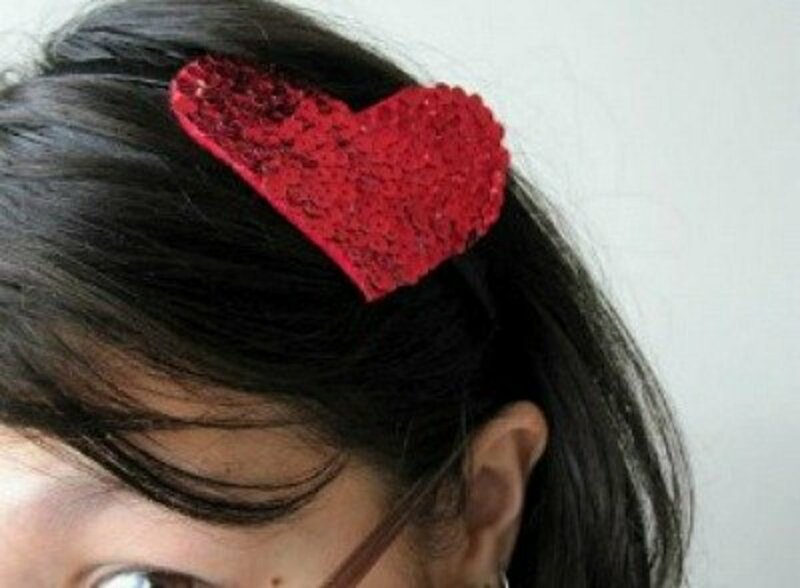 Make these beauties to add a bedazzled touch to your outfit! A t-shirt re-do is much simpler than you would imagine. 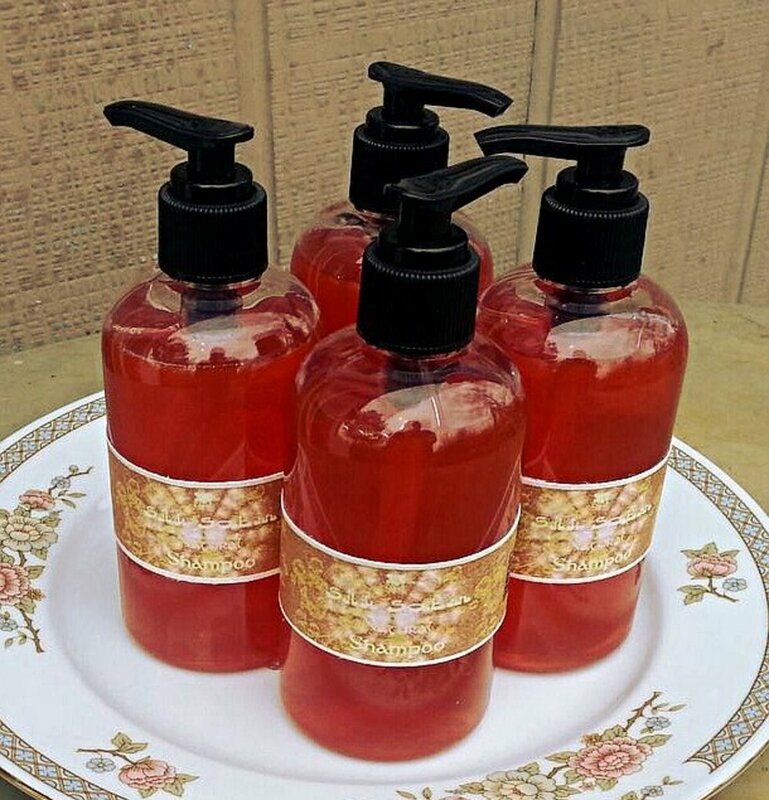 It's a very easy project that you can learn to do with Tea Rose Home. This is one of my favorite craft ideas. You can create a few different variations to match the season or put an outfit together for a special occasion! 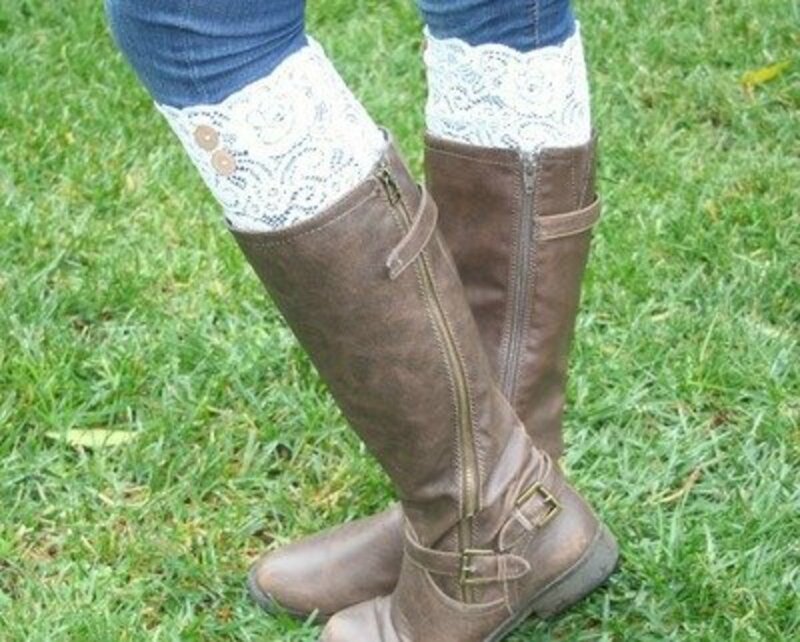 You're going to love making and wearing these lace boot socks. I love how the delicate fabric peeks through the top of the boots to add a feminine touch. 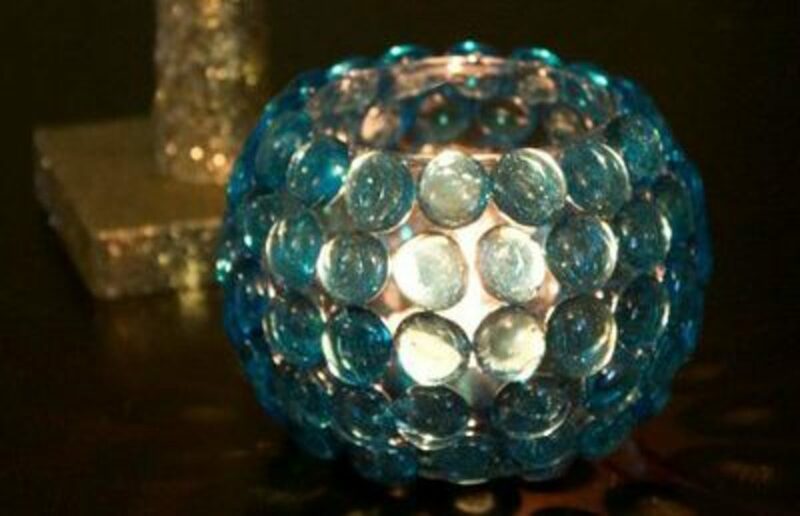 Dress up your bedroom décor with mini fabric lamps. It's simple to put together with clear plastic cups, string lights, and fabric scraps. Add nice big flower pillows to your bed for added flair. 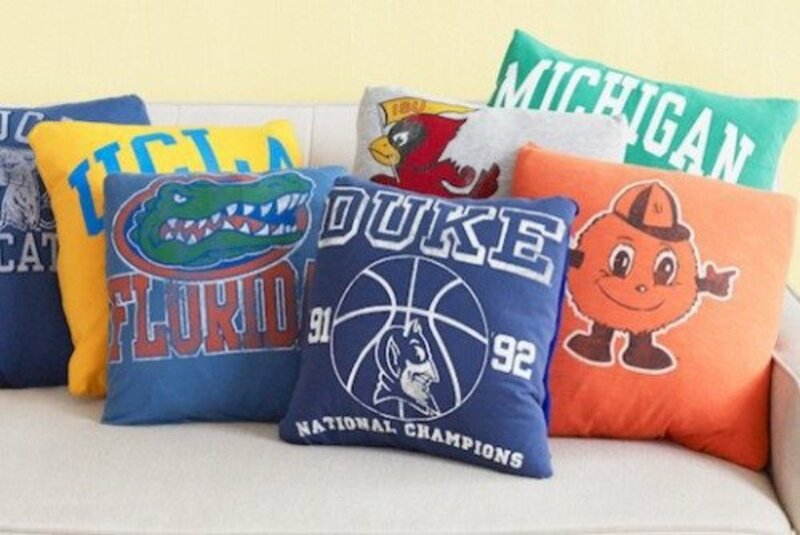 These pillows are easy to make and look very expensive. This is an impressive remake of a t-shirt that I think is a very nice wardrobe addition. It's a lovely up-to-the-minute style that you can easily make yourself. 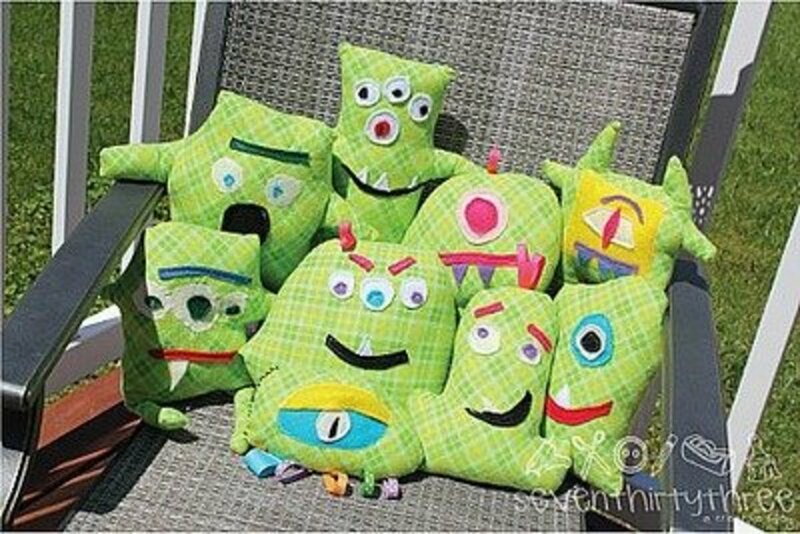 Make these monster pillows for yourself or to give as gifts. Everyone should have a monster bash! 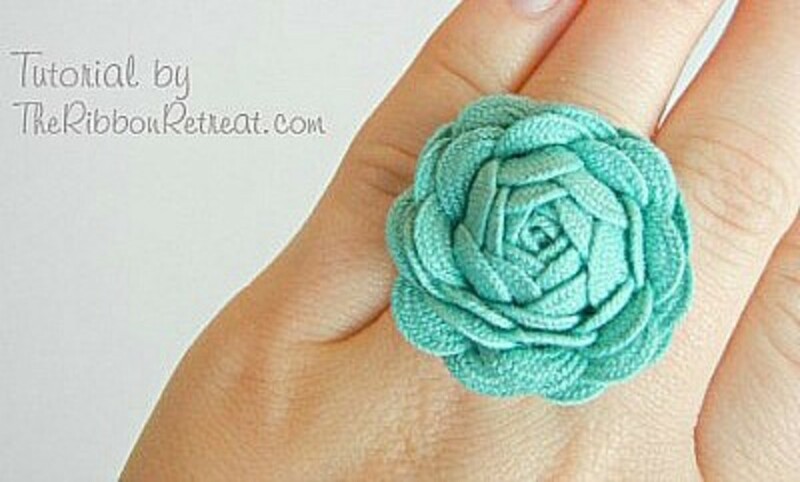 Make these using fabric scraps in your friend's favorite colors. 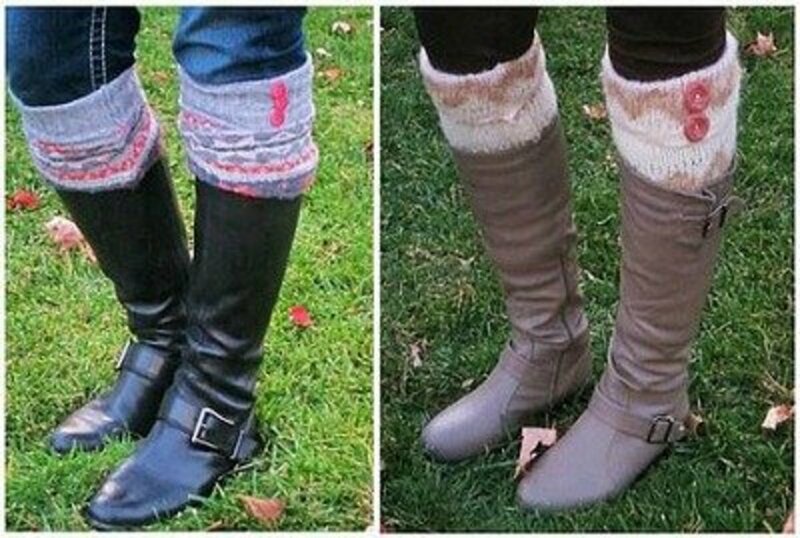 Use these sweater boot toppers to change up your boot's look. 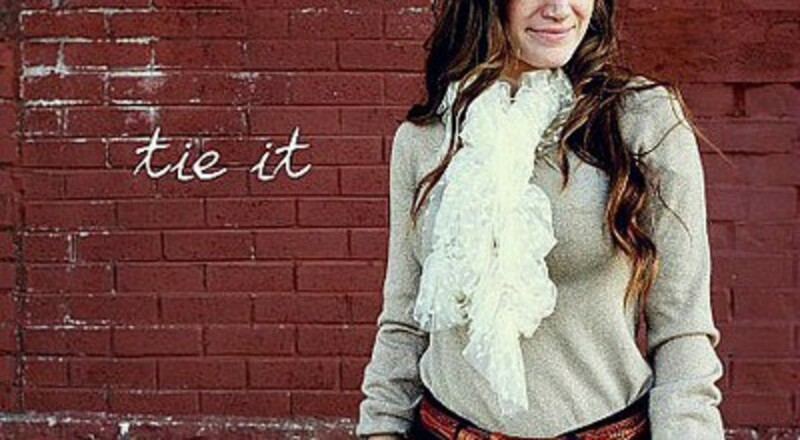 Upcycle your old sweaters to create a different type of clothing accessory. 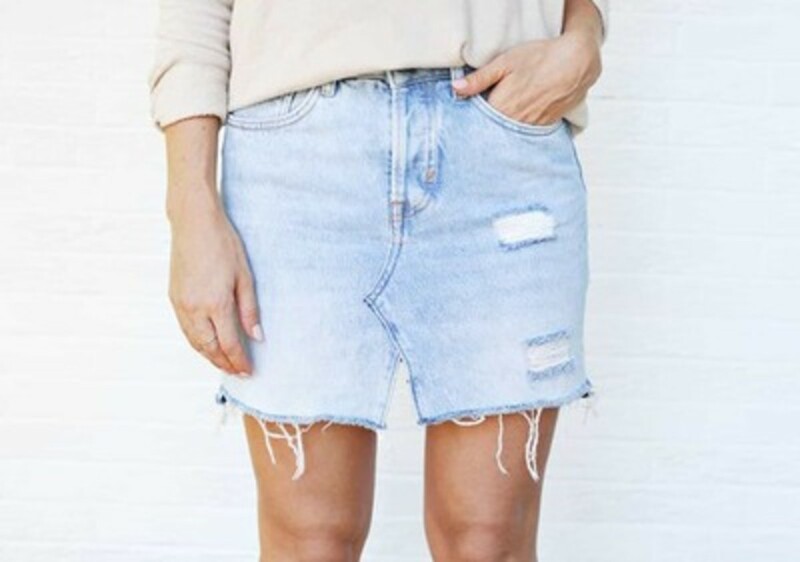 What fun you'll have making your own jeans skirt. Dress it up by wearing boots or heels, or down wearing sandals and a t-shirt. Super easy to do. 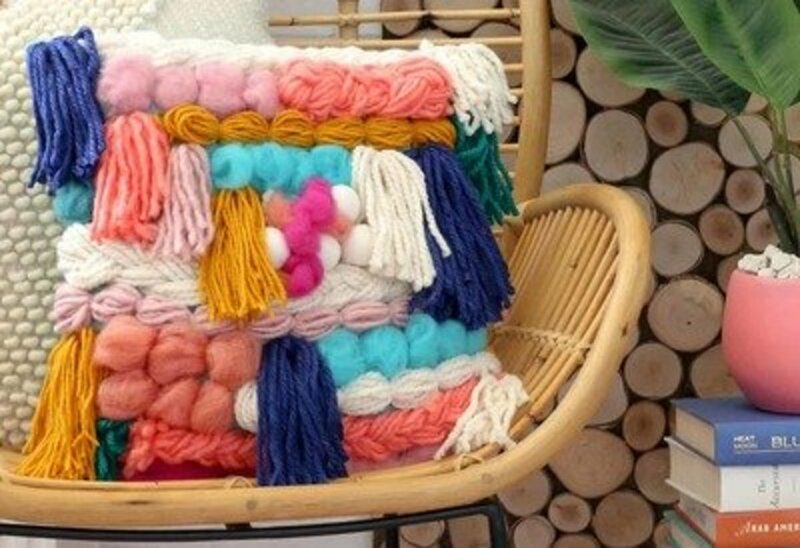 I love the looks of this faux woven pillow. This would make a great gift to give to your friend or Mom. 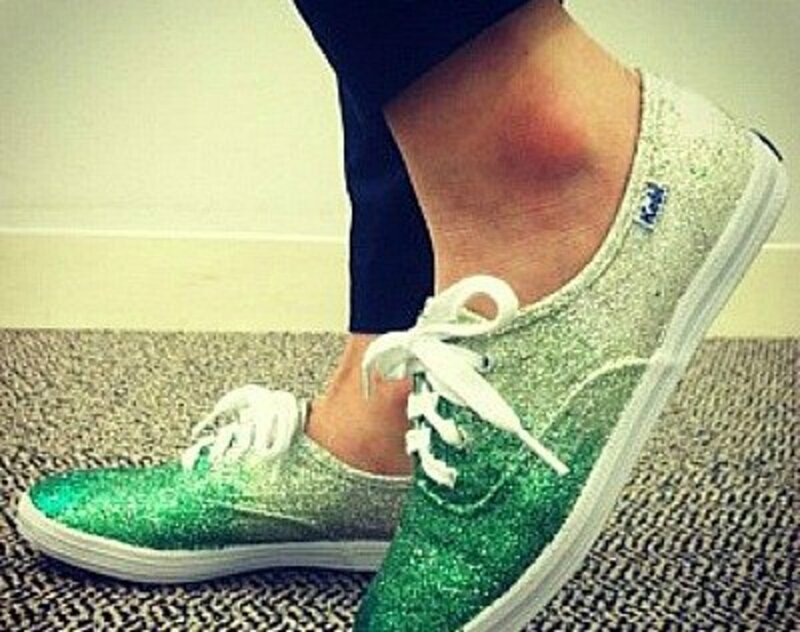 Make your own glitter shoes in fun colors! I sort of wonder how well the self-adhesive tape sticks on fabric shoes. 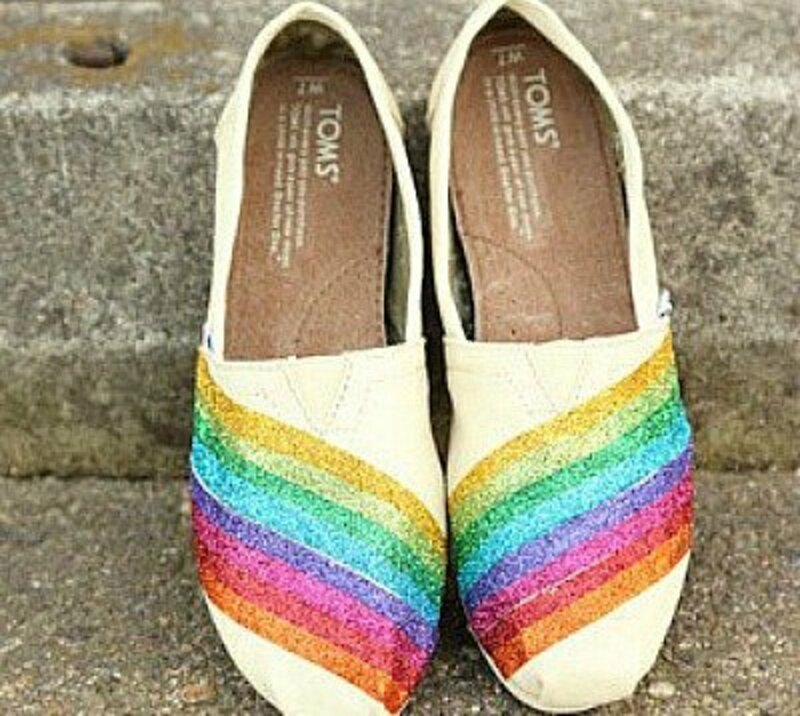 I think I would try this project on a pair of man-made or leather shoes. 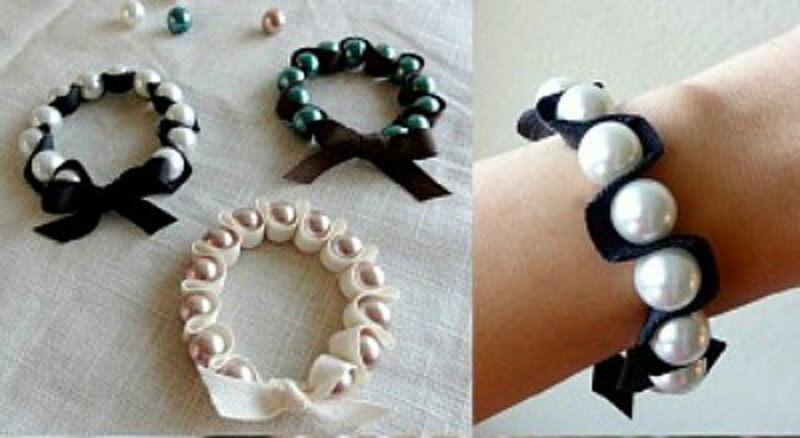 These Perler bead bangles are very attractive. With all the bead colors to choose from, you could easily put together a set of bracelets for a number of different outfits. 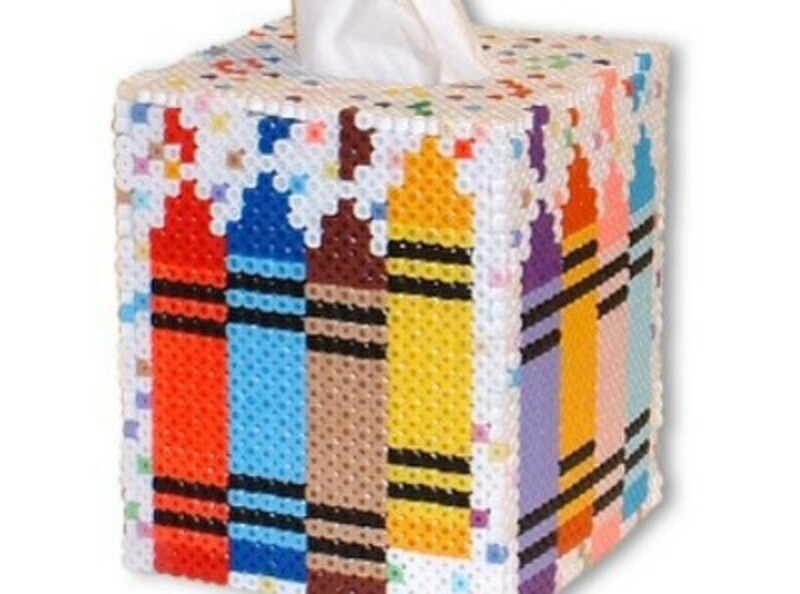 Can you imagine how pleased a teacher would be to receive a gift like this crayon tissue cover from a student? It's a very impressive gift idea. 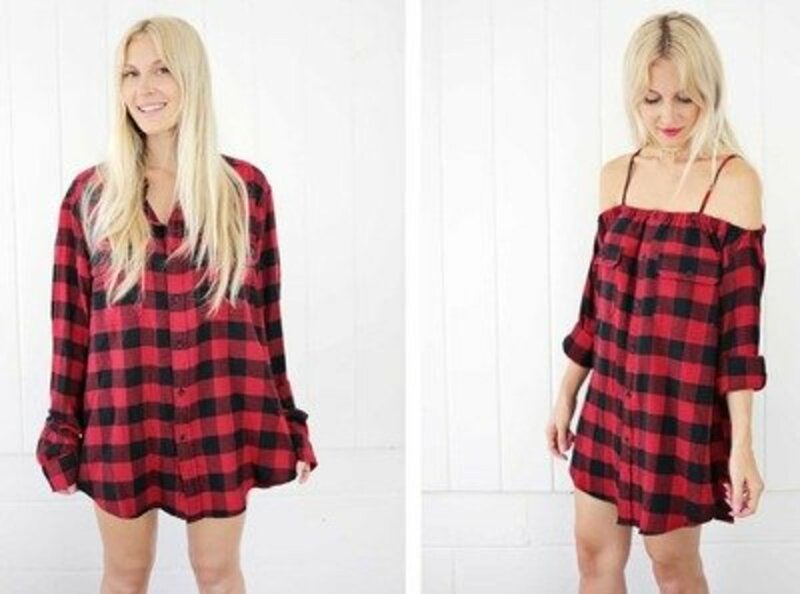 Turn a flannel shirt into this fun, flannel dress in a color you love! Imagine all the variations possible with this project. 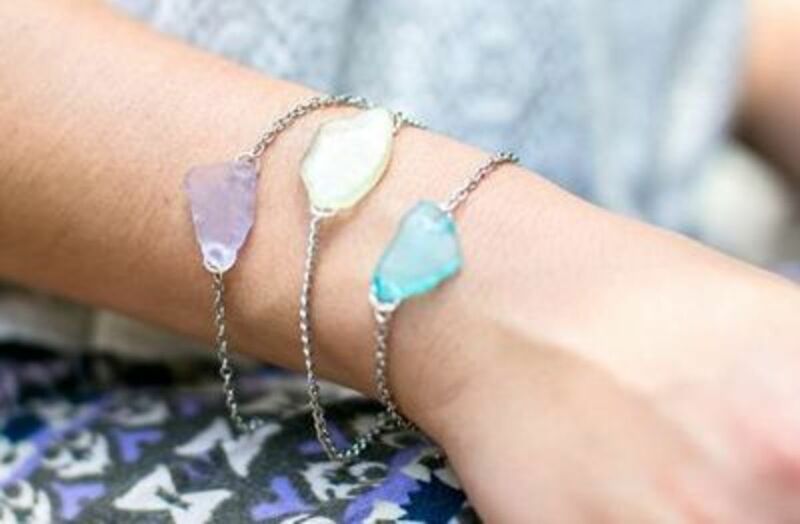 These sea glass bracelets would be a lovely and delicate gift idea. Making a beautiful piece like this for yourself would be a great skill to learn. 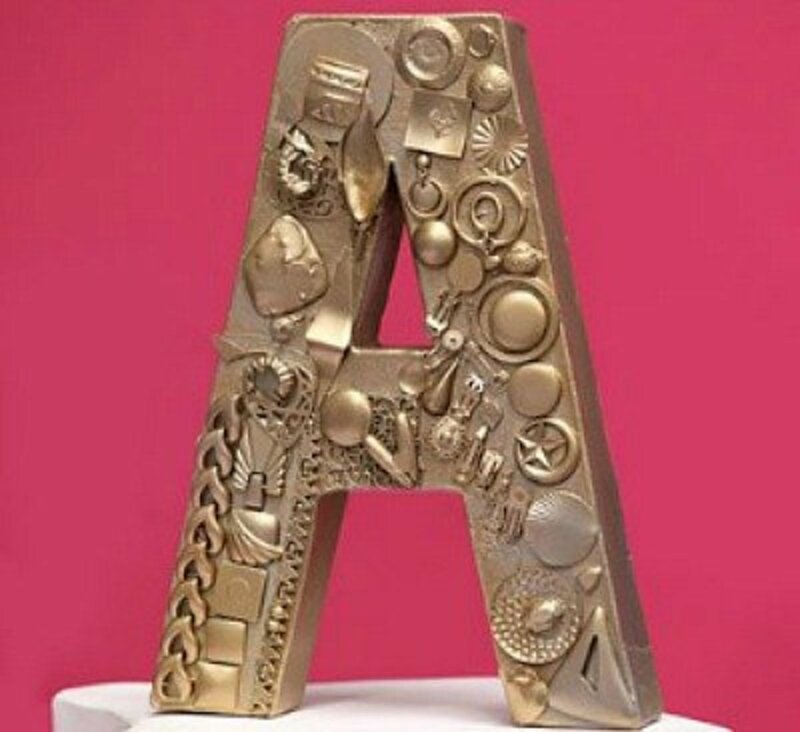 This glamorously gold letter would be a simple way to make a big statement in your room. Of course, if you'd rather have a pink or a purple letter, go for it! The great thing about crafting is that you can make any project to suit your style. 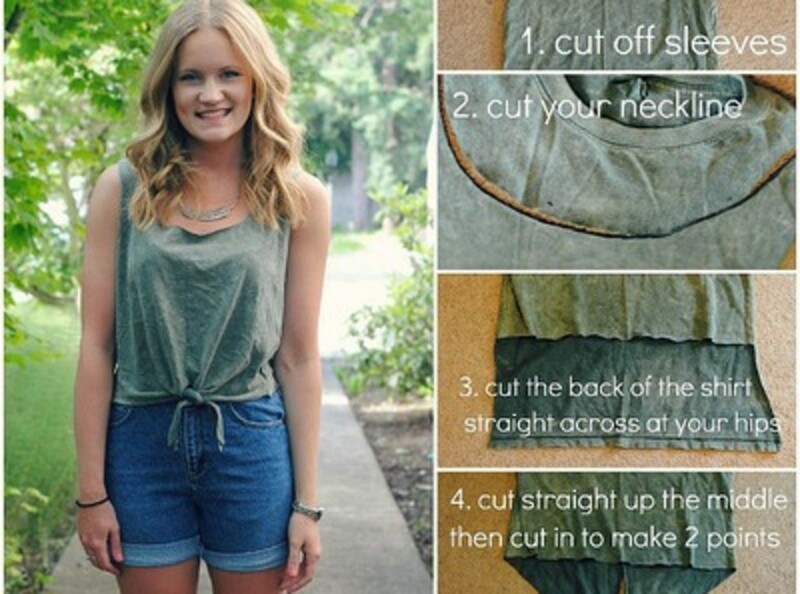 Redesign your t-shirt with this unbelievably easy method. I love it! Be the first of your friends to wear this shirt and listen to the compliments pour in. 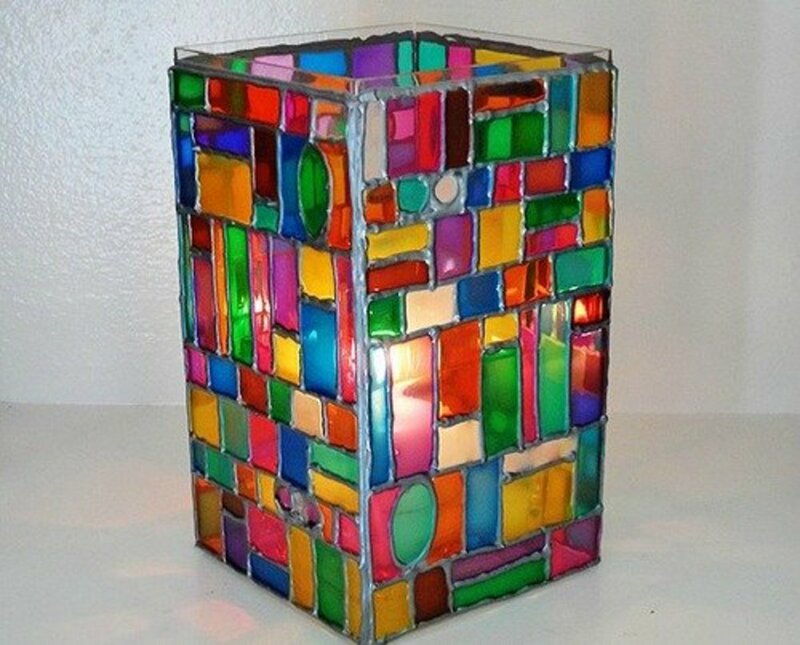 This glass votive is such a quick and easy gift to make—you'll really be surprised. It's a cool result that you can attain for something so easy to make. You can never have too many stackable rings. Make your own in all the colors available to make an ombre design or a colorful display. 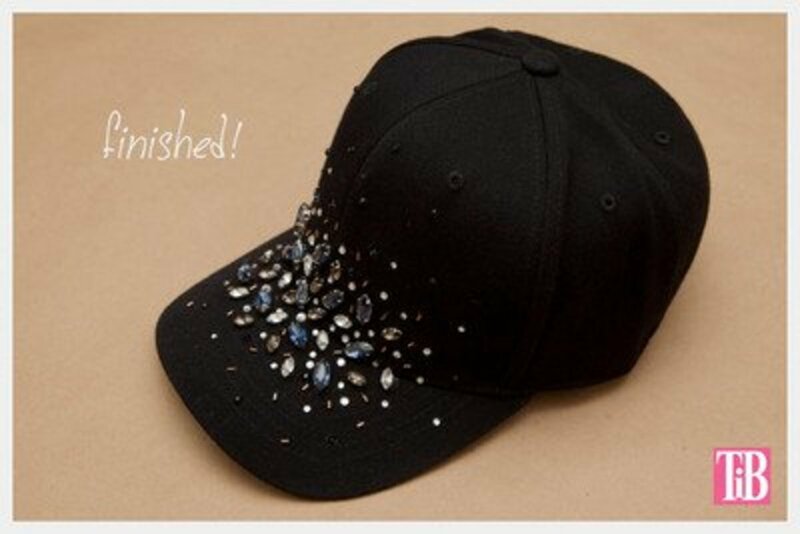 If you love to wear baseball caps, especially on bad hair days, walk out the door with a fun embellished cap to add a playful twist to your outfit! There's no need to be anything but stylish, even when you sleep. 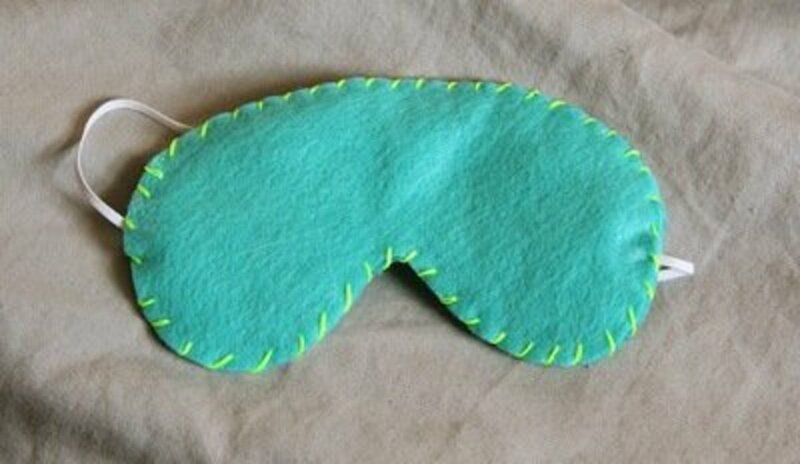 If any amount of light upsets your sleep patterns, throw together this whimsical sleep mask to help you snooze. It'd make a cute present to add to a gift bundle or be a stocking stuffer! 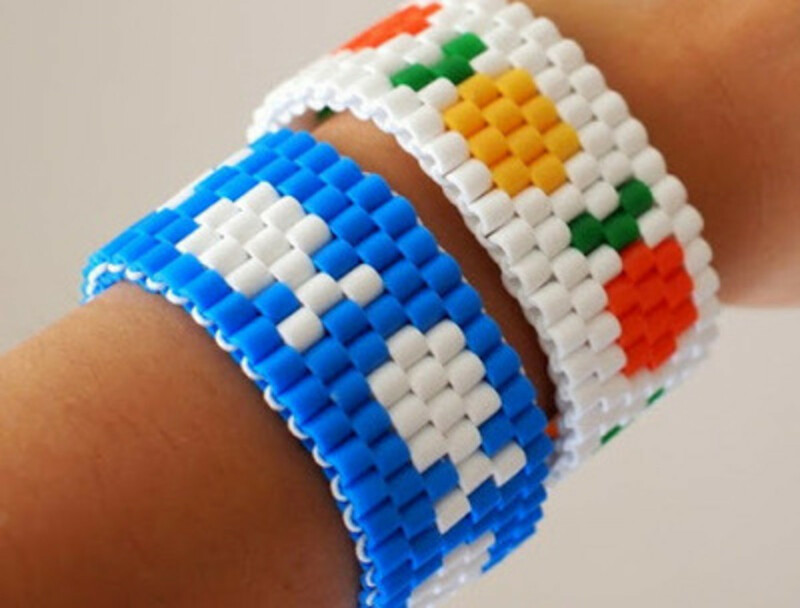 This is a different and unique way to make beaded bracelets. 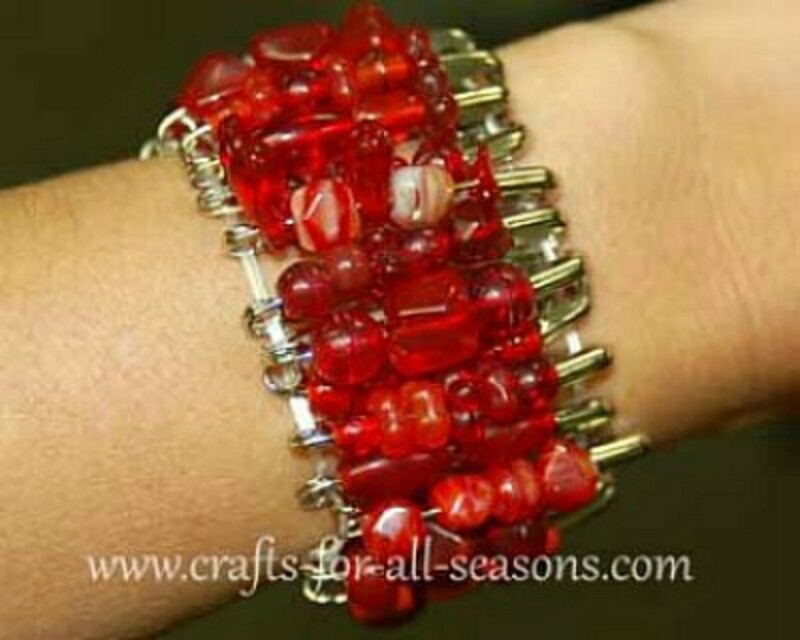 I'm impressed with this craft because it puts a new twist on the string and bead bracelet idea. You can have the look of an Anthropologie headband without the expense by making your own. 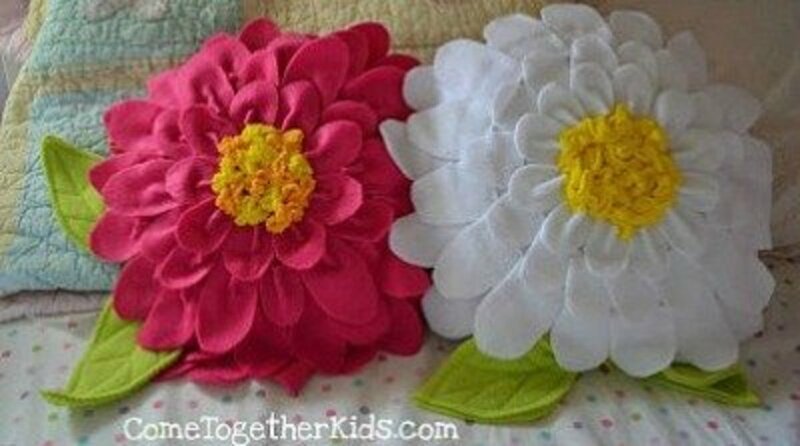 Learn how to make this floral headband and add a spring vibe to your wardrobe. If you don't have enough tees to make all the crafts you want, go to a thrift store or garage sale to get them cheaply. 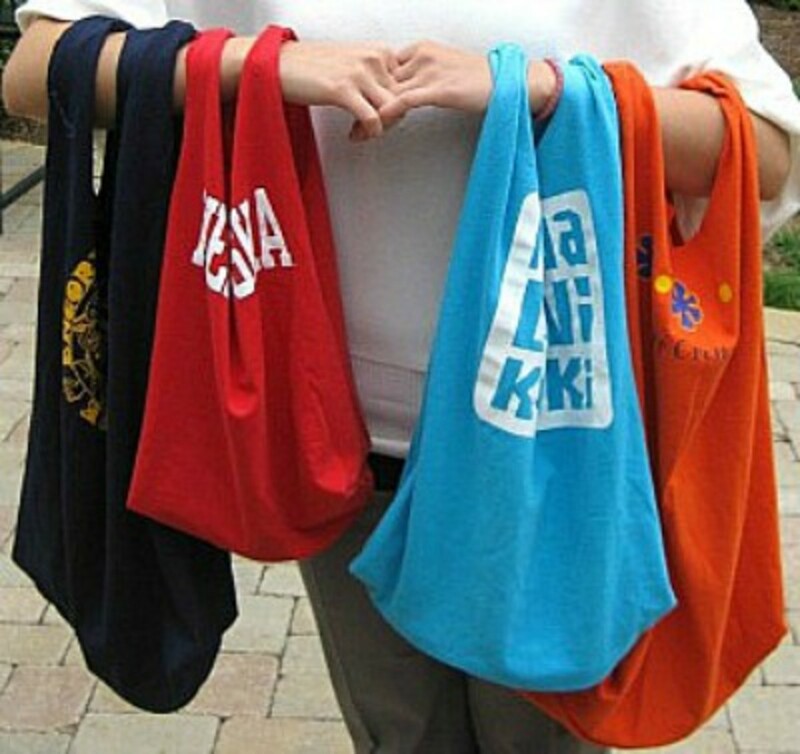 These upcycled tees would be a great project to "tote" to the grocery store! I think these Perler bead fruits and food would make nice keychain fobs. I'm sure you can think of other ideas for using these as well. 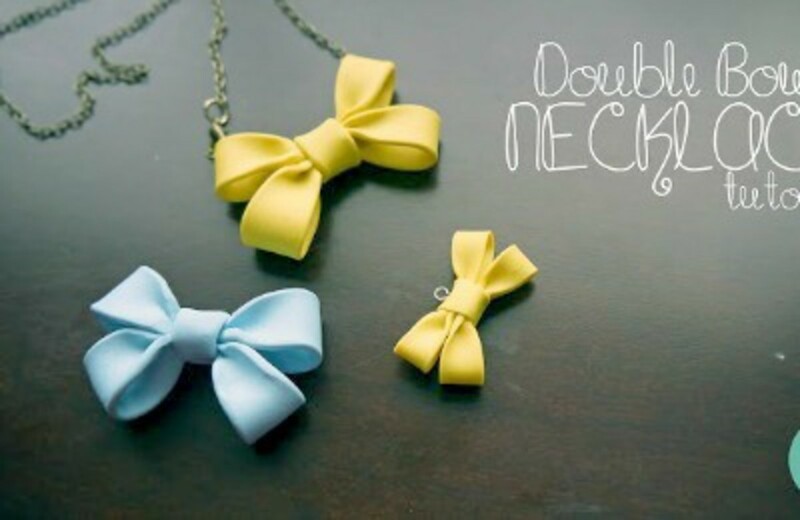 This double-bow necklace is a lovely project for anyone who wants to learn how to use polymer clay. If you haven't seen this ruffle fabric yet, be sure to check it out at the fabric store. 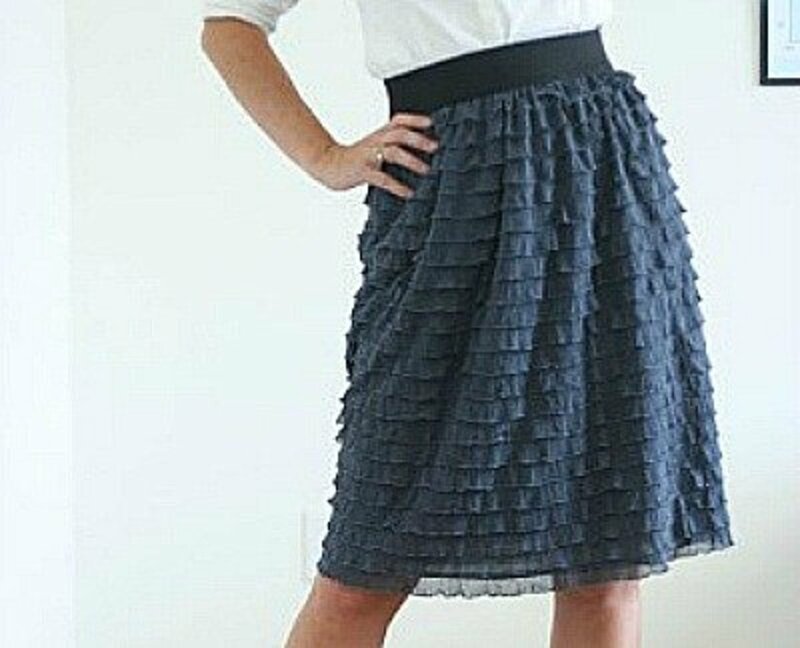 This skirt is easy to make because it doesn't need to be hemmed and the waistband is elastic. 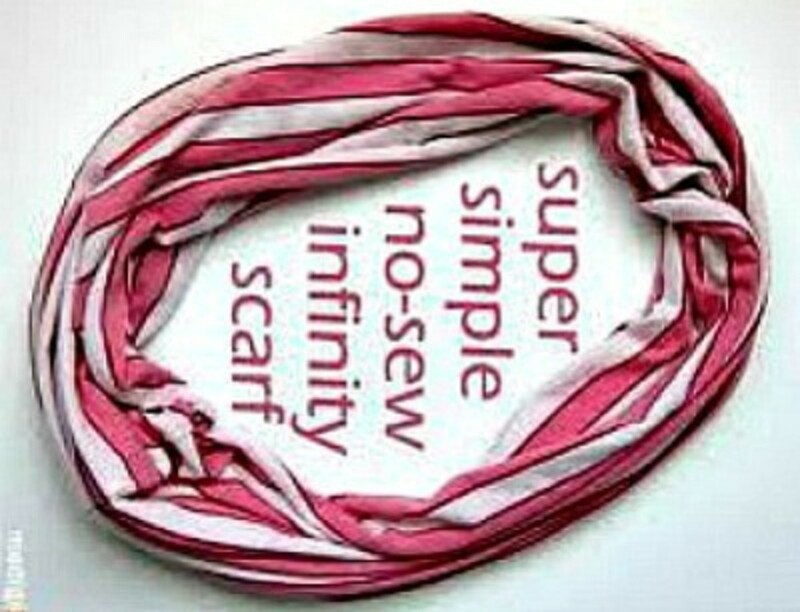 The infinity scarf is made using old t-shirt fabric, which means you can probably make a number of them to go with different outfits. Making a pocket purse can't get any simpler than this. Be the first of your group of friends to have a purse like this one! It's a great made-it-myself project. 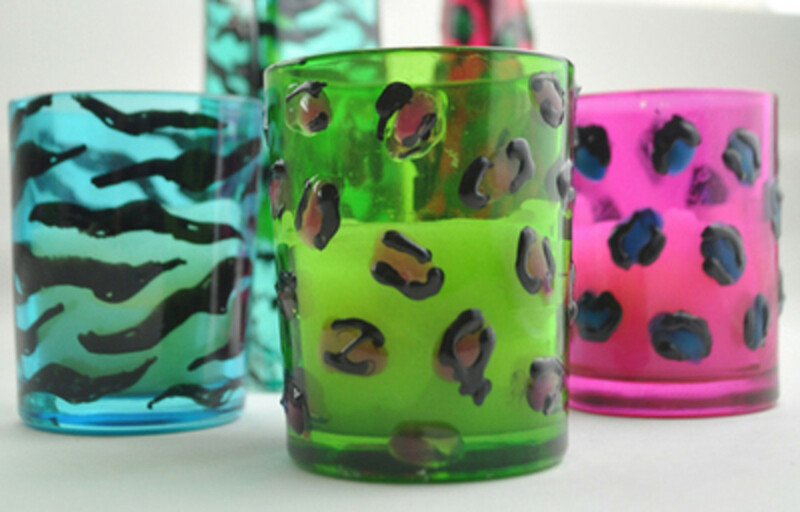 These animal print glasses would make beautiful gifts or bedroom decor. 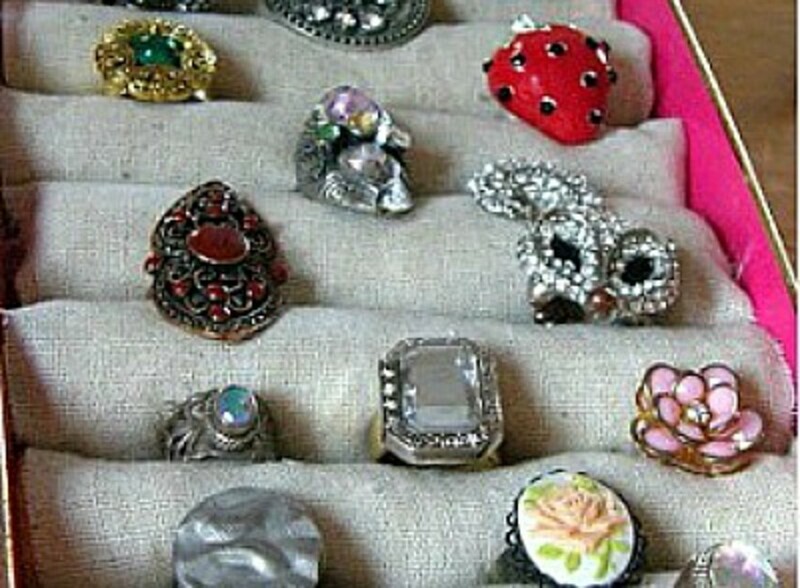 You can easily make an attractive and useful ring holder using the top of a shoe box! You'll never have to hunt for the perfect ring to accessorize an outfit with again. 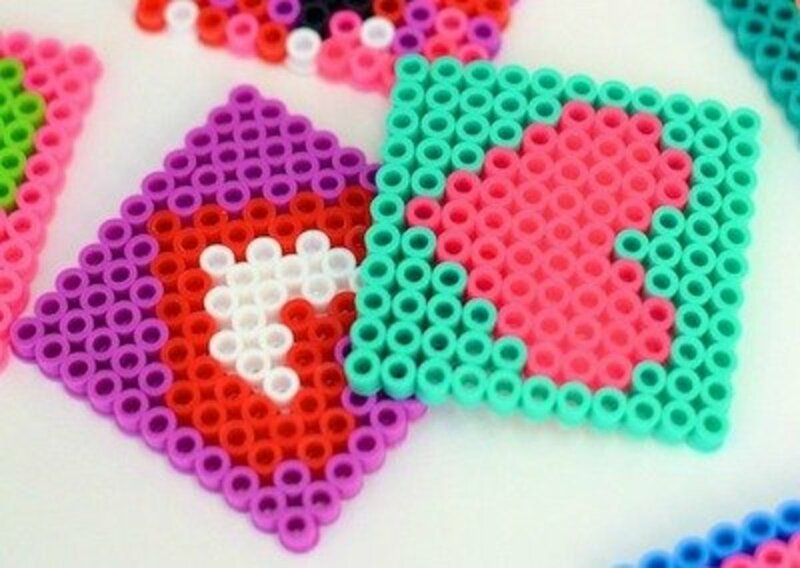 You can even make Valentines with these little Perler beads. Camille Styles shares how to make this fun DIY project. A necklace or bracelet with a number of these hearts would be a nice gift. 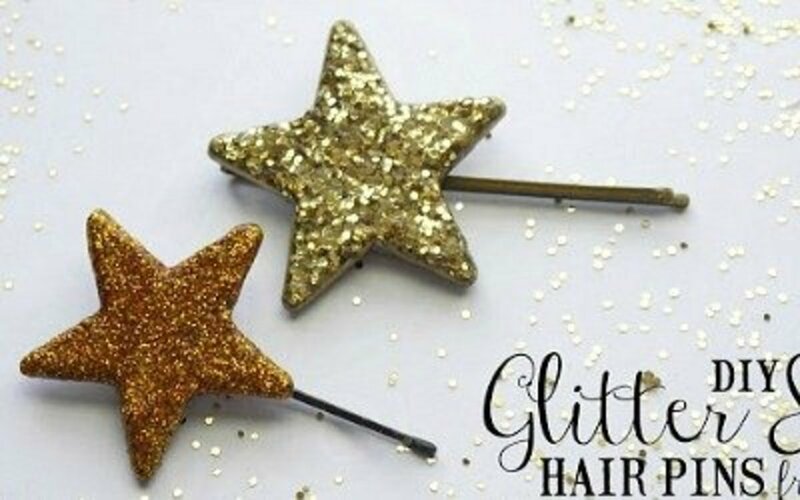 Make your own glitter star hairpins with glow-in-the-dark stars. You can find them in packages at craft or discount stores. Cut your template as a heart, a star, or perhaps as an initial. 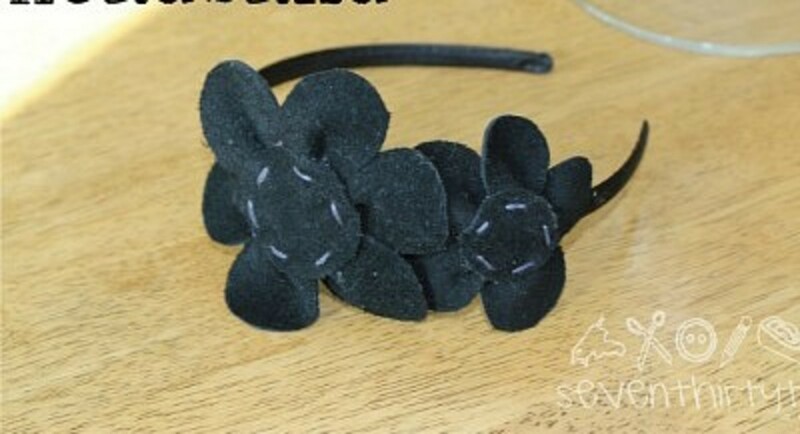 Then, follow the directions at raegun ramblings to make a sequined headband. Use colors that will match the outfits you want to wear. You'll find so many outfits to finish off with this DIY vest. This is a style you can wear all seasons. Make them in a variety of colors. 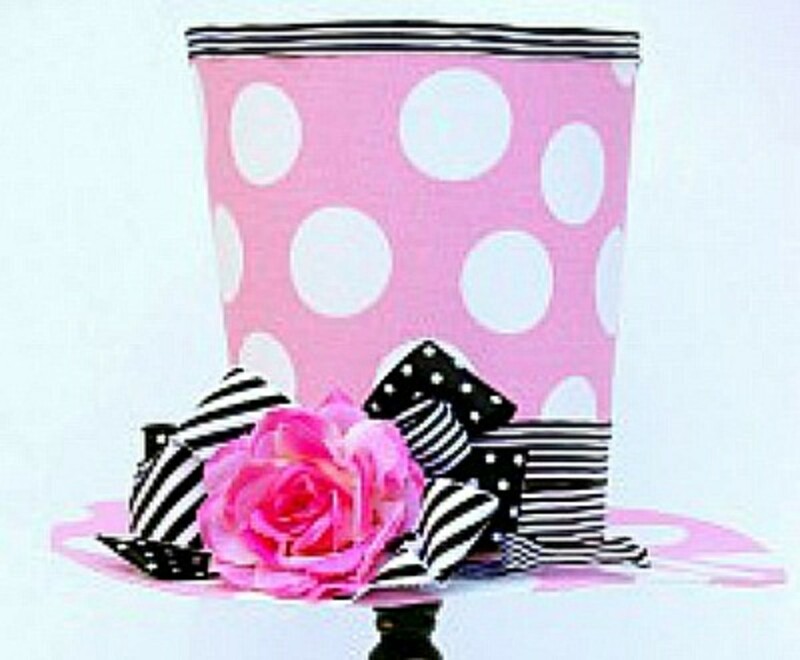 I just think this top hat is a cute piece of décor that would look great in a girl's room. 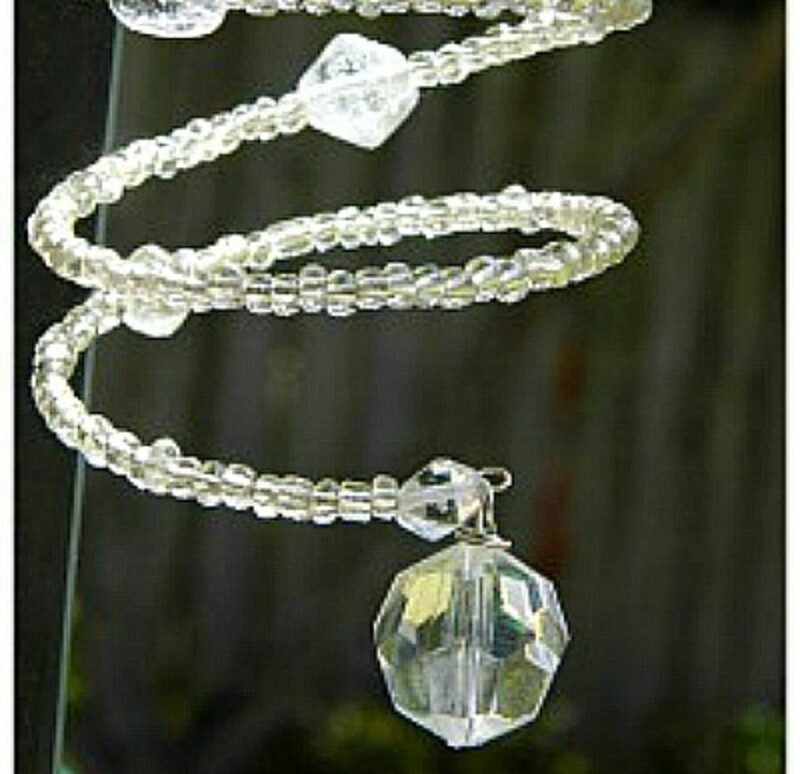 While making an elegant spiral suncatcher for your room, why not make a few extra to give as gifts? I'm sure it would be welcomed by your friends, Mom, or teacher. 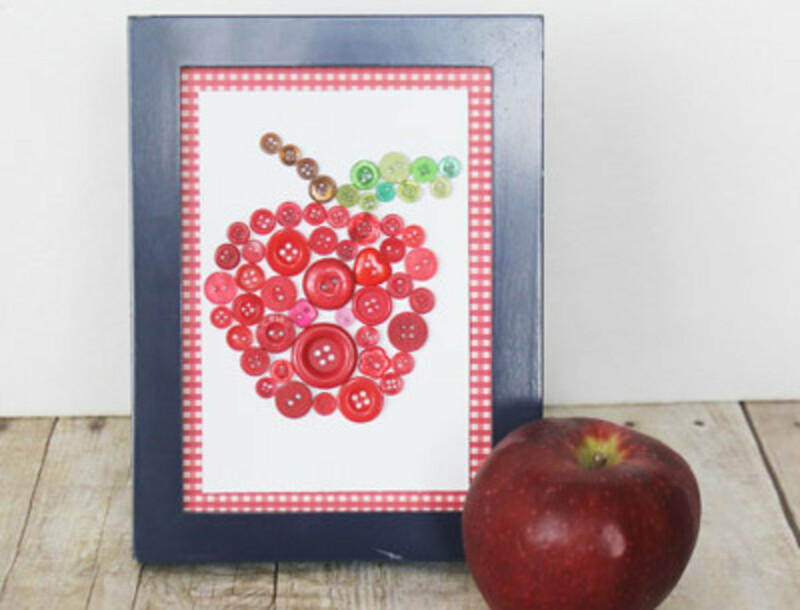 Make this back to school button craft as a gift to a favorite teacher. 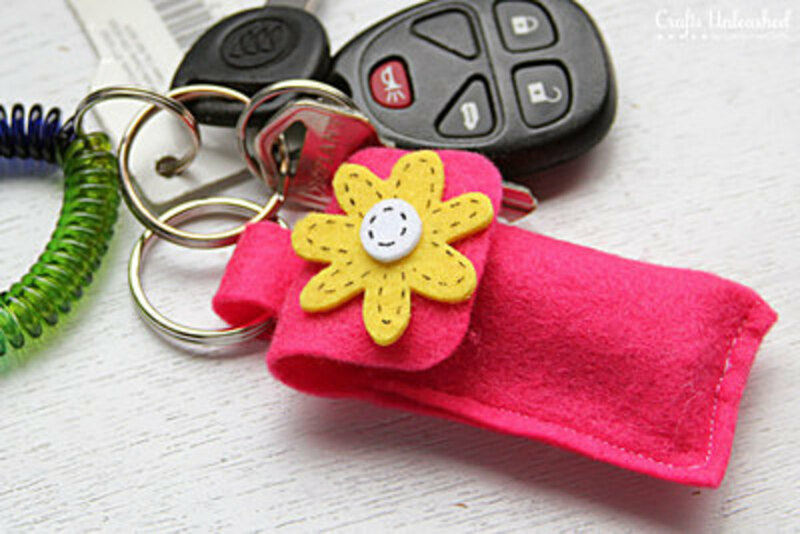 Make this useful keychain and take your Chapstick everywhere you go. This project would also be a great gift to give to a friend or family member. 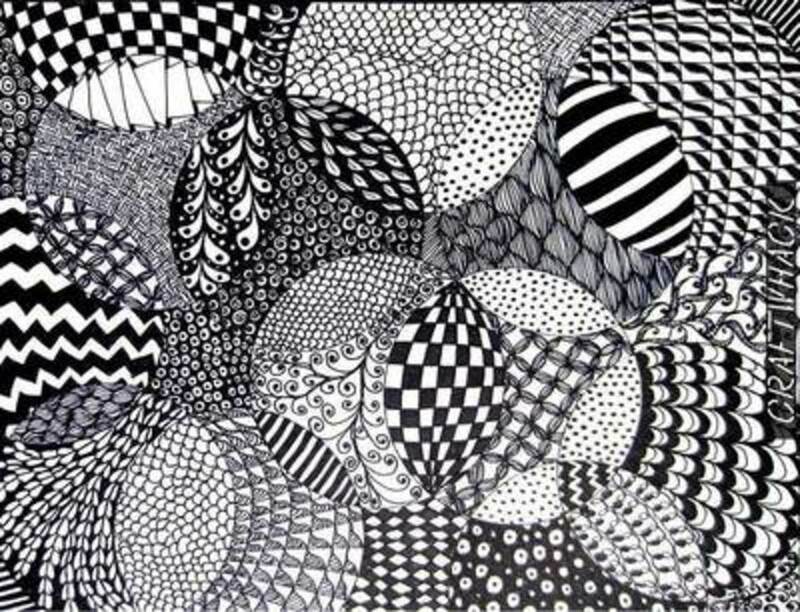 You'll become addicted to this form of art after seeing how easy it is to do. Find the tutorial and some starter shapes at Craft Whack. This neon dress is so cute. I can see making one of them for a swimming suit cover-up. Here's a perfect summer dress that is cool and attractive for any occasion. 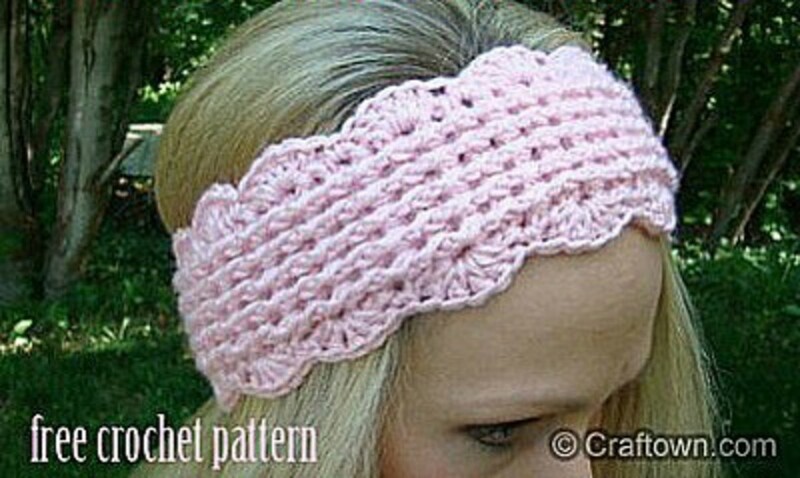 This beautifully crocheted headband can be made in any color, but I think that pink is a color that looks great on everyone. 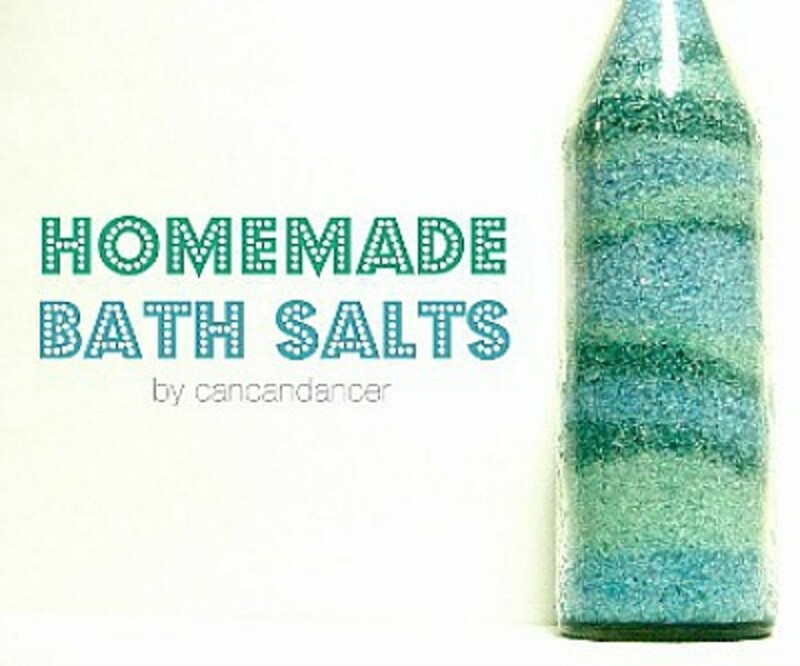 Homemade bath salts are a really nice gift idea. The Ingredients are inexpensive. When they're put in a nice glass jar or bottle, you have the makings of a thoughtful and unique gift. 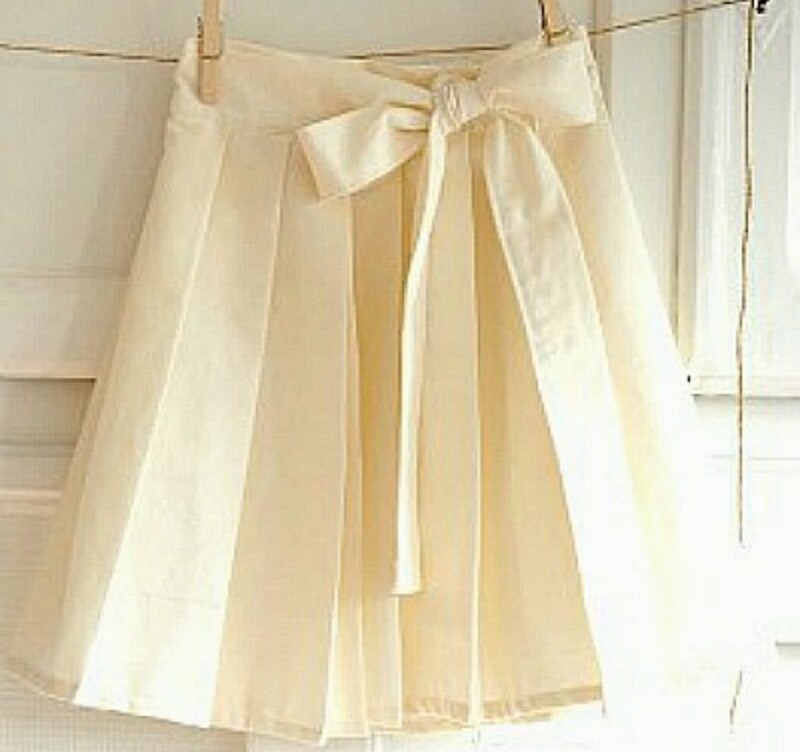 This pleated wrap skirt is as easy as making an apron. 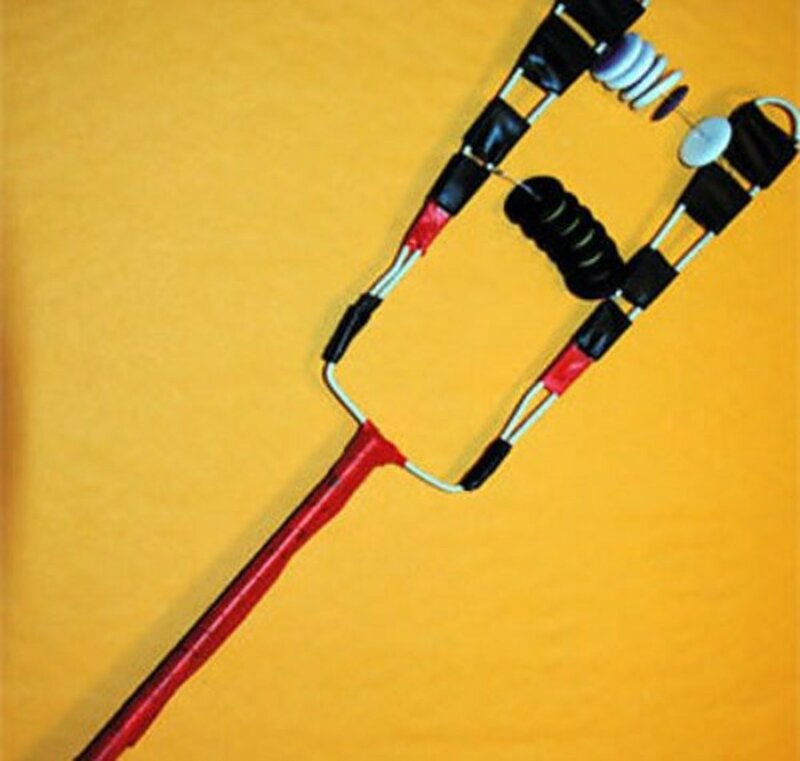 You'll love how easy this project is to make! 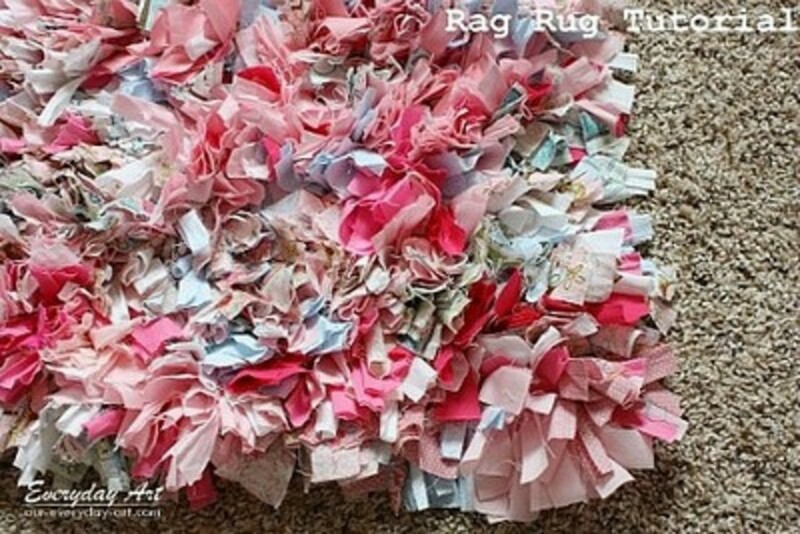 All you need are a bunch of fabric strips to make a beautiful throw rug for your room. Make sure to select colors that will complement your taste and decorating style. This beaded bracelet will be a fun project to do with friends. 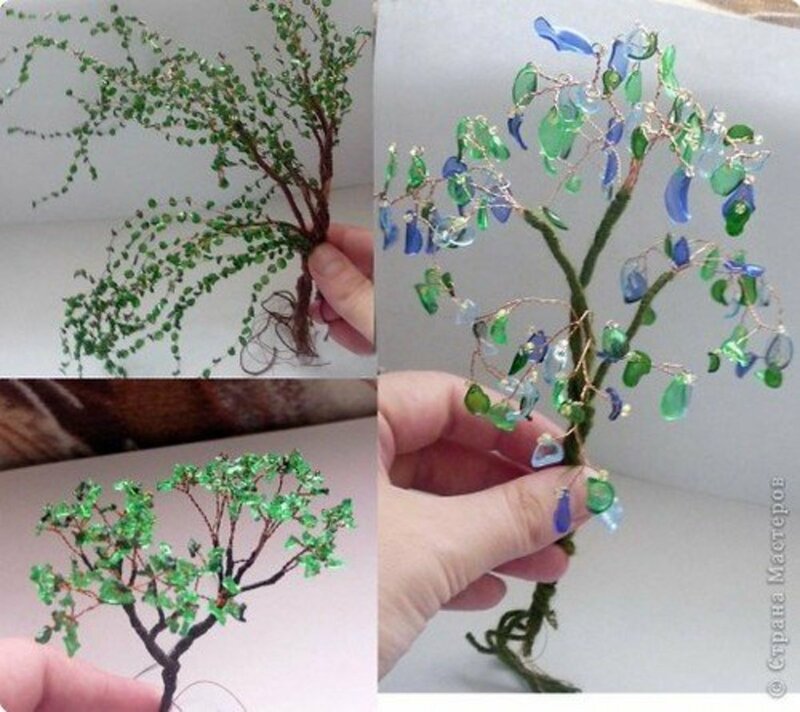 It is an easy and unique jewelry item that can be made with any combination of beads and colors. You'd probably have to pay a lot to buy this beautiful shirt at Anthropologie, but you can make a squeezebox top to save yourself a few dollars! This simple bow cuff is so attractive. 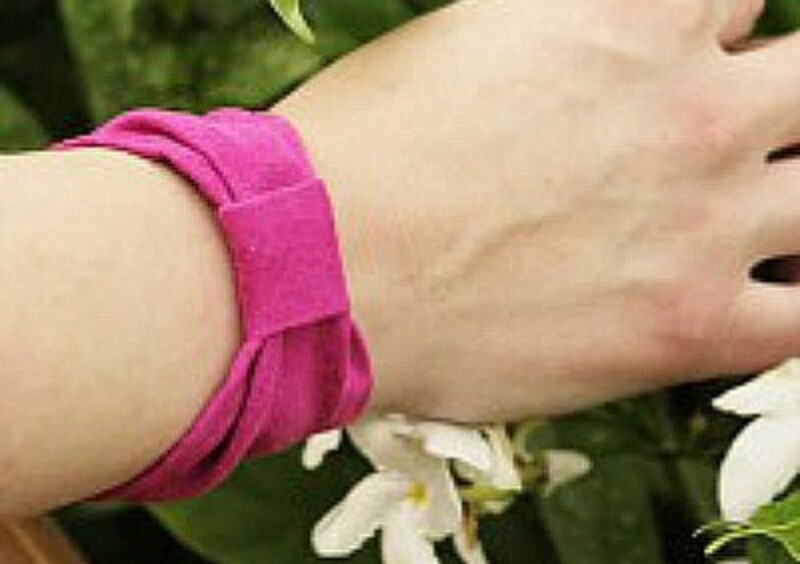 If you just wore this as your only accessory, it'd still be sure to pull your outfit together nicely. 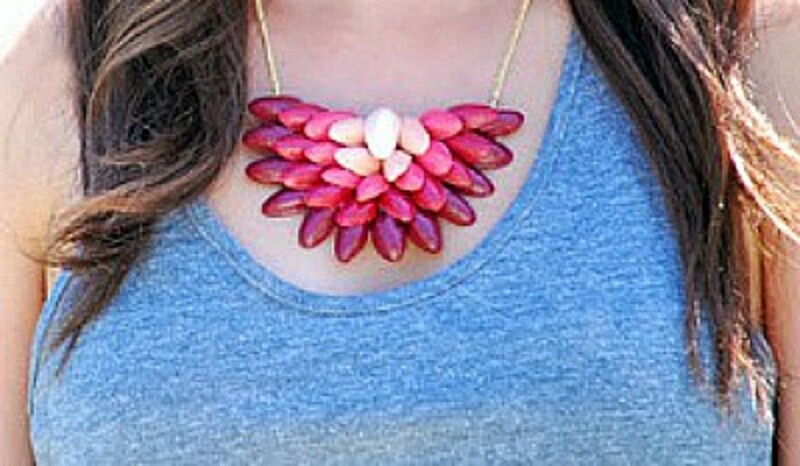 You'd never know that this fashionable necklace was homemade, much less that it is made using pistachio shells. They use craft paints to paint the shells, but I think I'd use nail polish. There are so many different colors of nail polish you can use, and the finished "beads" would be nice and shiny. 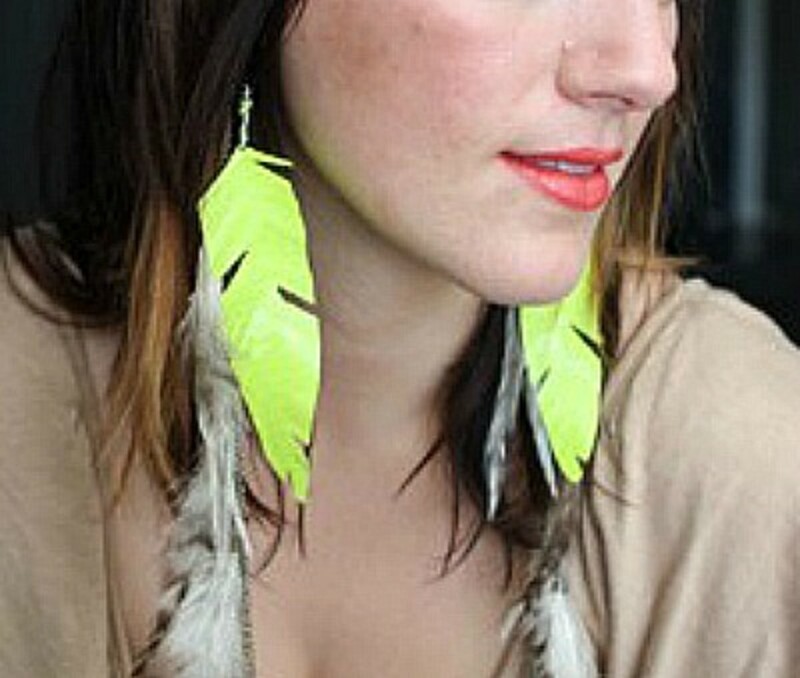 Can you believe that these flirty earrings were made using duct tape? The colors and prints you can purchase make the tape a great craft supply to have on hand. 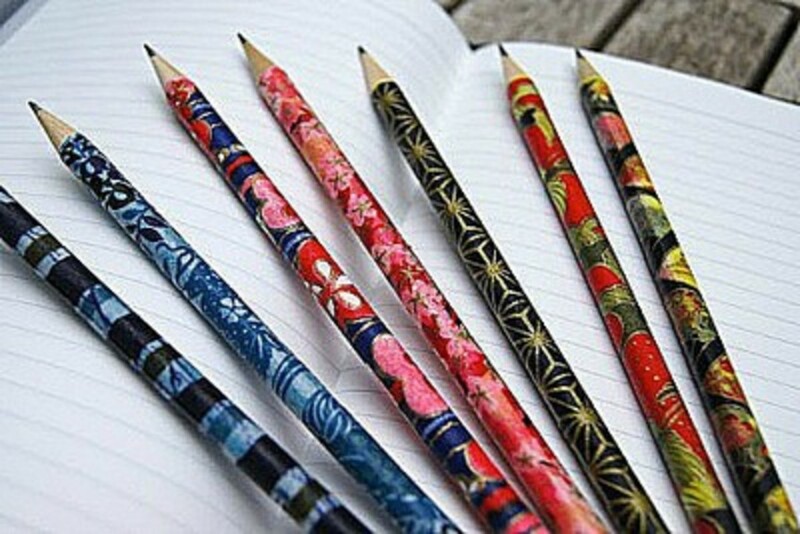 Schoolwork, or any writing for that matter, is more fun when you have pretty pencils. You can make your own to create a beautiful stationery set in your office. 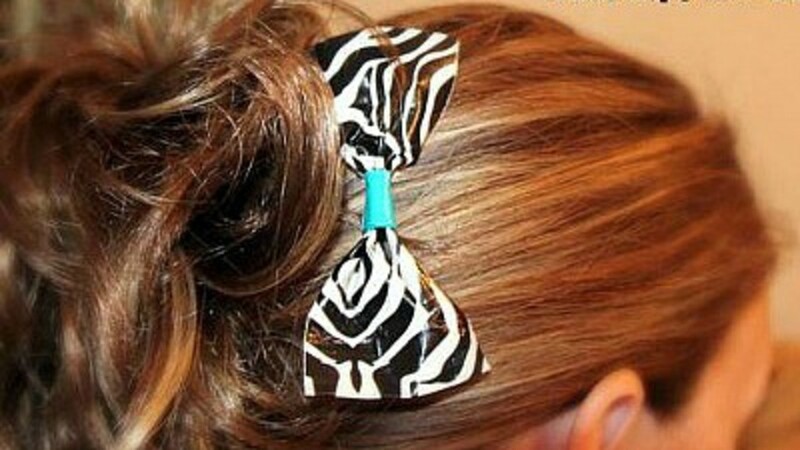 You can find duct tape in the color and design you love to make an interesting hair bow. It's so easy to customize, so you could have many different varieties of tape for friends to create personalized pieces to exchange! My granddaughter made a ribbon and pearl bracelet when she was with me on vacation, and I think it really is a great project. Dress up a casual outfit, or wear this lace scarf for a special occasion. 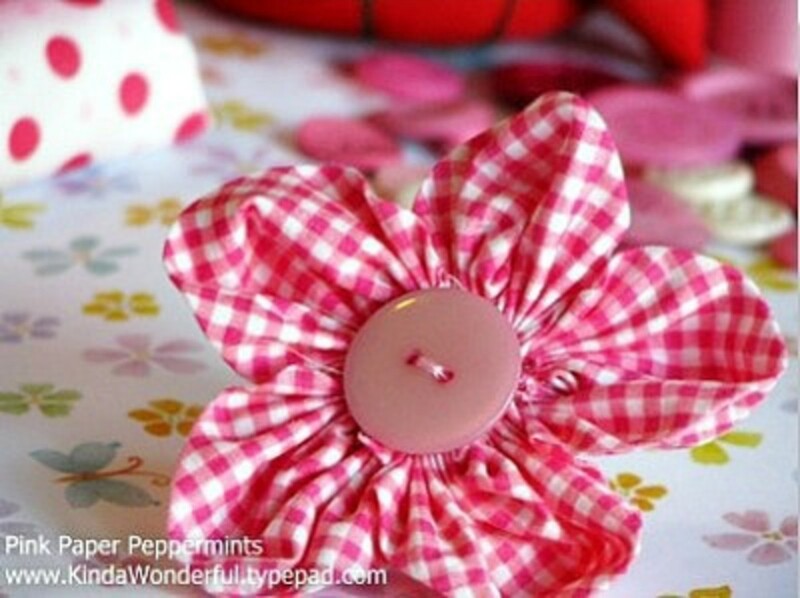 Although these gingham flowers are made using a patterned fabric, you can choose the prints or solid colors you like to make them. 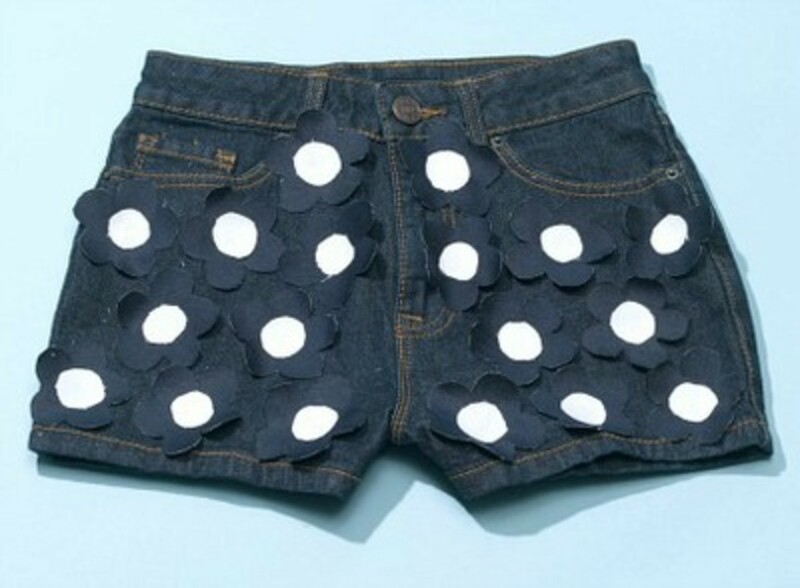 If you look closely, you'll be able to see the three-dimensional flowers on the shorts. You'll have so many occasions to wear an American print shorts outfit this summer. Be sure to make this project now so you have it ready for the season. Outstanding! 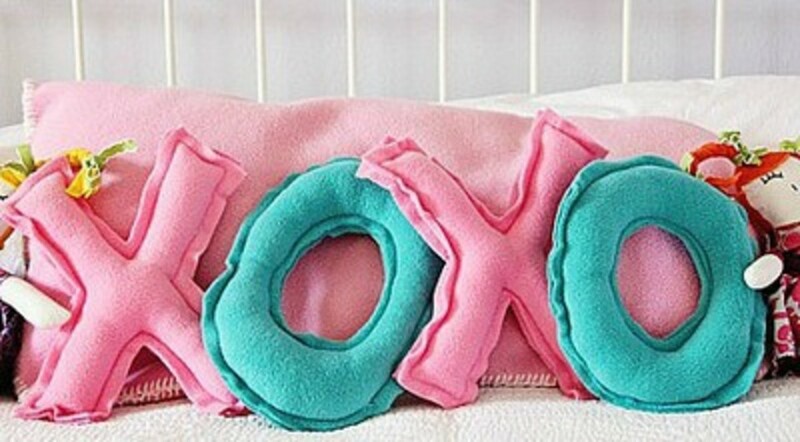 Girls, you can dress up your bedroom by making these cute pillows for your bed. They would also make a nice gift to give someone you love. You'll love these braided friendship bracelet bobby pins. Use fun combinations of ribbons to accent your outfits. They're an easy and cheap accessory you can rock every day. 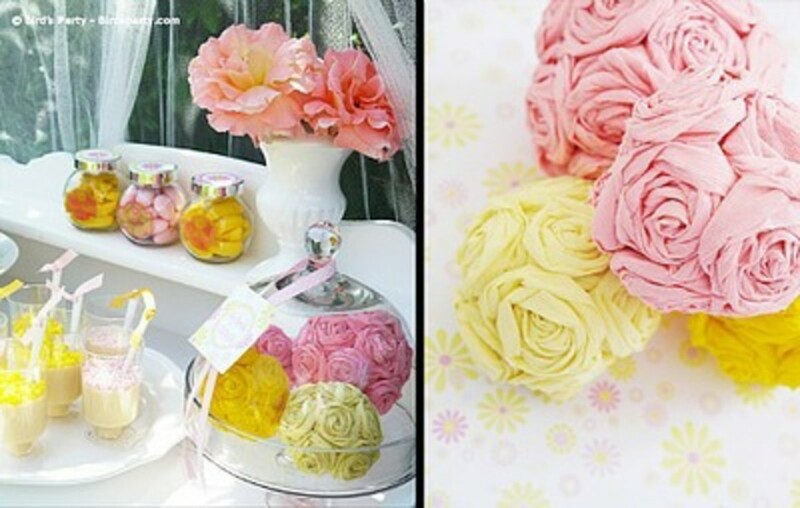 Besides these paper flower pomanders being a great addition to the décor of your room or apartment, this could also be used for prom or a school function. I'm sure you'll be able to think up lots of uses for these ric rac roses. Make a bunch of them, and then let your imagination go to decorate whatever you see lying around! 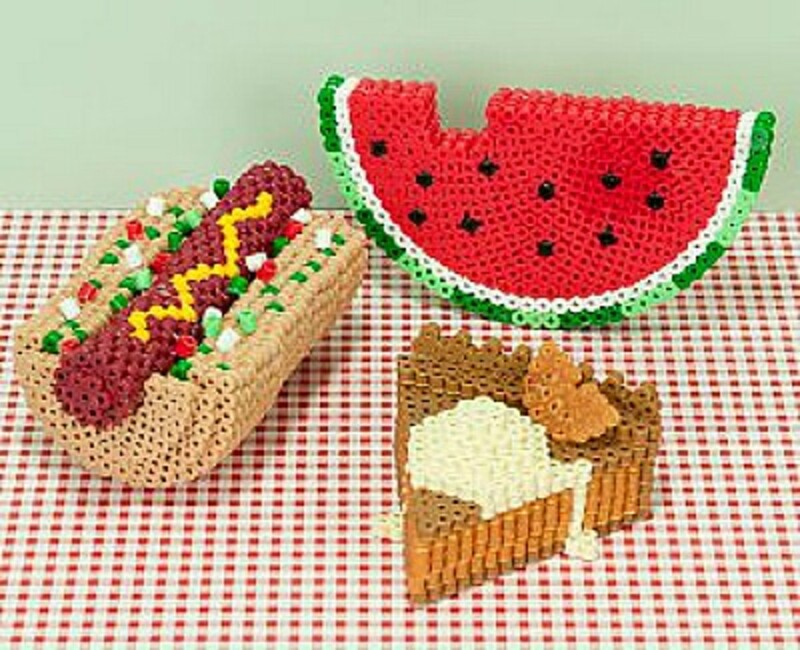 Which of these Crafts Will You Try? - or leave a comment. I want to try the recycled nail polish. It looks so cool. The Double Bow Necklace is adorable.